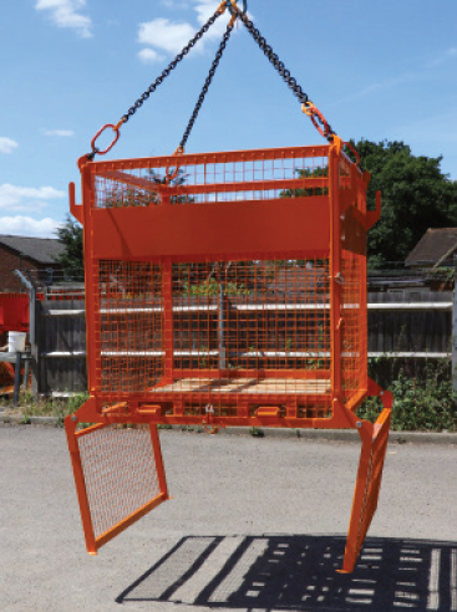 Brick forks are no longer used on site and have since been replaced with the Eichinger 1058C Safe Pallet Cage which will be used going forward. Shot bolts to secure the doors in the open position. Heavy duty forks providing a secure, evenly distributed and balanced point of contact. Twin doors to reduce height locked in with spring bolts. This will be the first construction site in London to use this particular type of cage.